Actor Ruth Negga attends the 89th Annual Academy Awards at Hollywood & Highland Center on February 26, 2017 in Hollywood, California. 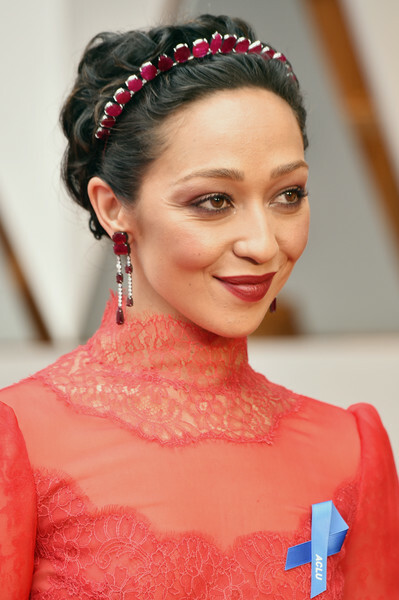 Ruth Negga looked like royalty wearing this Irene Neuwirth ruby tiara to match her red lace gown. Ruth Negga attended the 2017 Oscars wearing her signature short curls. Ruth Negga paired her tiara with matching dangling ruby earrings.